OAKLAND, Calif. (KGO) -- Fire inspectors in Oakland are fanning out to make sure home owners are in compliance. In wooded neighborhoods like the Oakland Hills, cleaning gutters on a regular basis is a good idea. Bill Fritzche relies on his son for that, but he's reduced the fire risk in another way. "Several years ago we had the eucalyptus taken down in the backyard after one fell," Fritzche said. He remembers the destructive and tragic fire in the Oakland Hills back in 1991. Since then, fire inspectors say many homes were rebuilt with fire resistant materials. But fire inspection supervisor Vince Crudele says some properties still have fire hazards. "We are right near vegetation. We have a vacant lot property next door that hasn't been cleared. with vegetation cut down to a height of six inches or less," Crudele said. Another fire hazard is storing recycling bins holding plastic near the entrance. "Storing that adjacent to your home, especially if your home is of wood construction, that can create a problem," Crudele said. 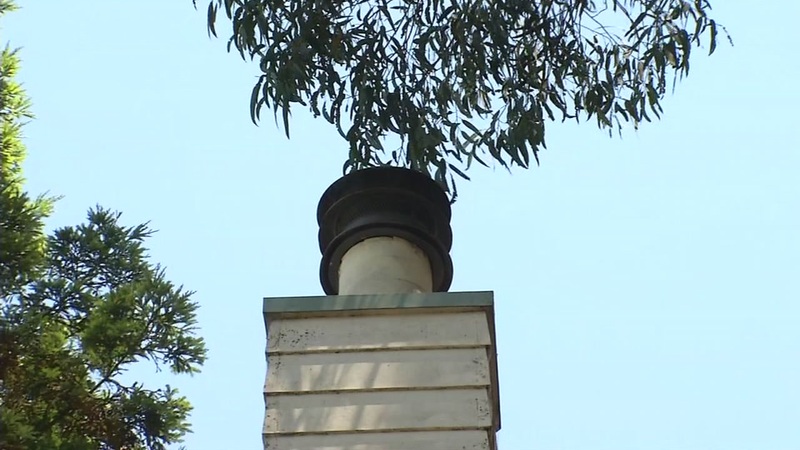 Branches cannot be within 10 feet of a chimney or stove pipe outlet. "Limbing back the trees eliminates part of the problem, still because of the wind and the height of the trees. It carries it down the roof," Crudele said. "They have to get out and clean these roof lines into that because one ember into that we have a fire." Crudele says the risk in fire severity zones is year round, and measures to reduce the risk should be continuous.